Johana Masaru Session IPA is deep breath 4.8% session New England IPA from Johana Beer, based in Nanto, in Toyama, Japan. It’s part of their draft only lineup and was first released in Summer 2018. It’s unknown whether Johana Masaru Session IPA will be made again or not. NE-IPA and me are well known for not getting on, so why buy this? Well I NEED to push myself to try new beers from time-to-time so what better than a session NE-IPA. 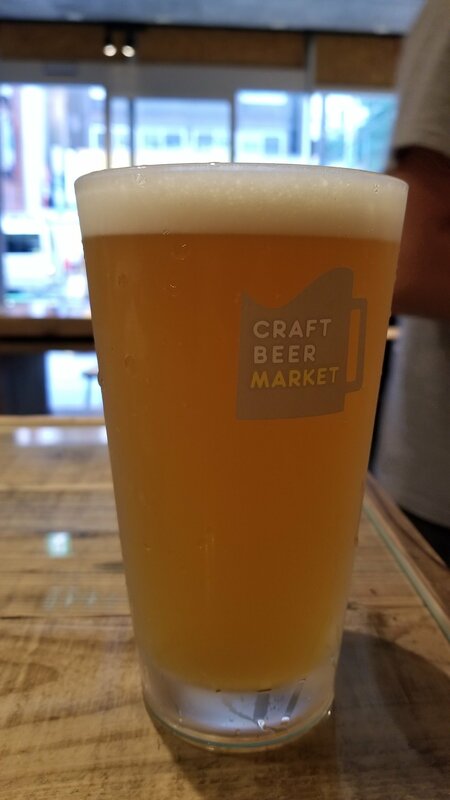 Johana Masaru Session IPA came up a cloudy dark yellow colour with a fluffy white head on top. The hoppy aroma I was expecting was muted, with a floral and piney nose being the only aromas of note. There was a slight creaminess from the nose but it was definitely much lighter than other NE-IPA I’ve tried. That same experience extended to the body – light and creamy but lacking staying power. The floral and piney hop flavours were smoother and Johana Masaru Session IPA had a, ugh, juicy texture. It was also freshly opened, which helped things. However, the flavours did fade fast from the palate, unlike other session IPAs I’ve had where the hops have lingered for a long time. Johana Masaru Session IPA isn’t a bad beer by any means but just lacks punch and staying power.